Why is it becoming more important for Commercial Fleets to cover themselves with video evidence of the situation at hand? Changes in the law regarding Directors responsibilities towards the safety of their staff, pedestrians, safety compliance and incidents in general. That’s why Camera Telematics have developed the iC360 range of MDVR solutions, they are, as the name suggests – full 360° recording through a range of analogue high definition (AHD) and IP Cameras. Advanced reporting capabilities through 3G and Wi-Fi connection. Instant alerts from g-sensor trigger via email which can help FNOL. With features to record and monitor door opening, PTO, indicators, handbrake and many more. IP 720p/1080p HD forward facing camera technology – providing optimum vehicle camera imagery. A variety of 720p AHD 1.3mp cameras, including side, reverse and internal cameras. Up to 2 TB worth of storage providing up to 2 months’ worth of footage. Multiple trigger inputs which can activate the side and rear camera on the driver monitor and also integrate with existing telematics equipment etc. 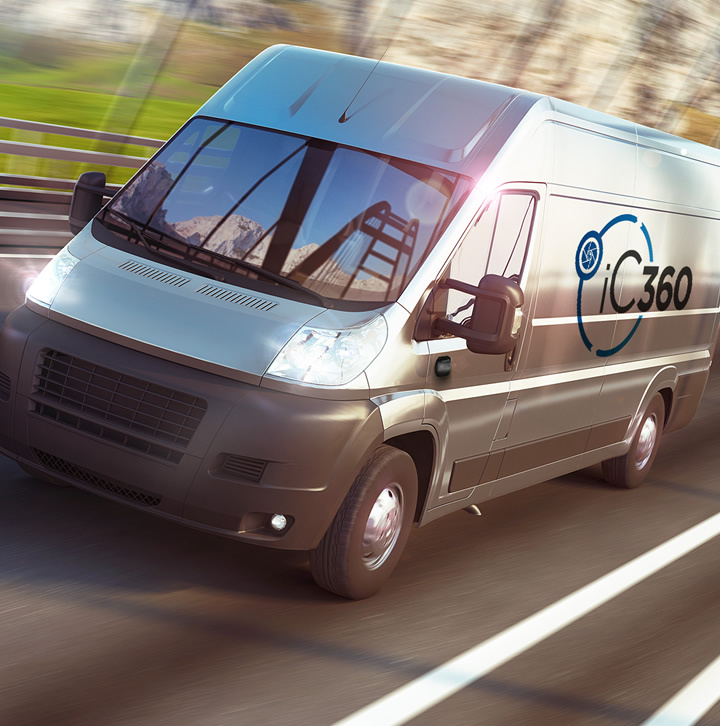 Our range of iC360 multi camera LCV solutions provide a choice of cameras and connection options for different applications. In the illustration, we have shown a typical 5ch iC360 solution, however you may require different locations and cameras for your specific requirements, our iC360 range offer this flexibility. Our range of iC360 multi camera Lorry solutions provide a choice of cameras and connection options for different applications. Our range of iC360 multi camera HGV solutions provide a choice of cameras and connection options for different applications. In the illustration, we have shown a typical 9ch iC360 solution using our 12ch MDVR. Draw Bar, Tanker, Transporter, Bus and Coach. Our range of iC360 Multi Camera Taxi Solutions provide a choice of cameras and connection options for different applications. “Criteria in the Law require that Audio is not recorded until the driver feels threatened and that the footage is secure” Our MDVR’s require a password and key to unlock the hard drive and audio is only recording in the event of the panic button being pressed. Our range of iC360 multi camera coach solutions provide a choice of cameras and connection options for different applications. In the illustration, we have shown a typical 10ch iC360 solution, however you may require different locations and cameras for your specific requirements, our iC360 range offer this flexibility. If you simply want to comply to FORS, CLOCS and Crossrail vehicle safety accreditations we provide a range of solutions which comprise of a near side and off side camera, a rear or reverse camera and a 7″ colour monitor with a choice of DVR units. NB: Reversing of commercial vehicles account to up to 25% of accidents within the workplace, and the ABI states that “Reversing of commercial vehicles is a major problem accounting for one claim in every six.” Utilising the large 7” colour LCD screen and a single reversing camera the driver can safely back up the vehicle and avoid any potentially costly repair bills. Using the 3G/4G or Wi-Fi modules the advance reporting platform allows customers to connect to the vehicle via server based viewing software. Alternatively, if you are on the move we have an intuitive mobile App which provides a light version of the full suite. Our iC360 range is also remotely configurable allowing the adjustment of trigger sensitivity, camera angles and alert parameters. Using the GPS module, the software also provides Real Time Fleet positioning and Journey History. It can even integrate with other third party devices if necessary such as Tracking technology. The software can also be configured to upload footage automatically in a number of ways, such as; alarm events, panic button activation and high level G-sensor triggers for instance. Should the situation arise where retrieval of historic footage is required, this can be achieved in a number of ways, via the 3G/4G module by dialling into the vehicle and searching the hard drive under the events folder, Via the Wi Fi module once the vehicle has returned to base through the companies existing Wifi infrastructure or by retrieving and swapping out the vehicles hard drive (please see our Support and Maintenance section)and connecting directly to a computer (software required). Our advanced hybrid range of iC360 MDVR (Mobile Digital Video recorder) equipment are modular and offer a variety of camera type combinations, optional 3G/4G and Wifi modules for instant reporting and live fleet tracking via the 3G/4G and GPS modules; giving you vehicle location and journey history tracking data. The 5-channel solution offers value for money whilst offering the latest in hybrid mobile multi-camera technology, combining New AHD (Analogue High Definition) and IP cameras in a small compact reliable hard drive device. Recording images in a standard of 720p, our solutions are the latest advancement in High Definition mobile technology, providing high quality images from all cameras; which could be the difference between seeing and incident and not, making all the difference to insurance claims. The 12-channel MDVR records in 1080P for ultimate clarity and is also offers value for money whilst offering the latest in hybrid mobile multi-camera technology, combining new AHD (Analogue High Definition) and IP camera in a compact reliable Hard Drive device. We provide a choice between 1TB and 2TB Storage drives for both units allowing customers to retain footage from all cameras for up to 2 months (depending on usage). Both have built in GPS and accelerometer as standard providing you with accurate location and speed data and support (optional) 3G/4G & Wi-Fi modules depending on the business requirements. The trigger inputs allow the MDVR to store valuable video information associated with reversing, door opening and left/ right indication or fuel cap removal for instance. Whilst the output triggers can also help integrate with third party tracking devices. 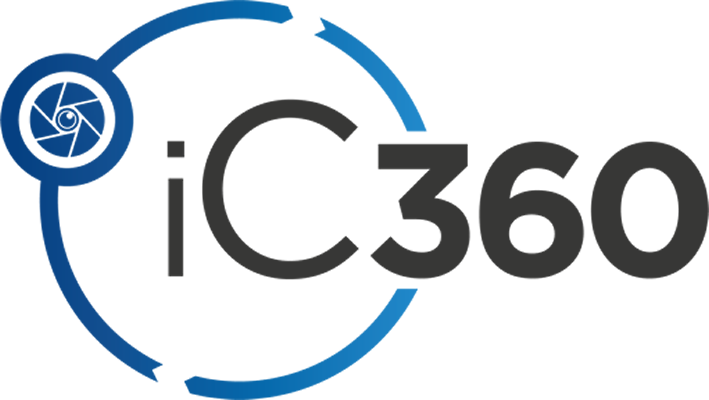 The iC360 range come with a 1 year warranty (subject to correct installation and usage) as standard which can be extended to 3 years if required, we also provide a range of Support and Maintenance packages to suit your business needs. 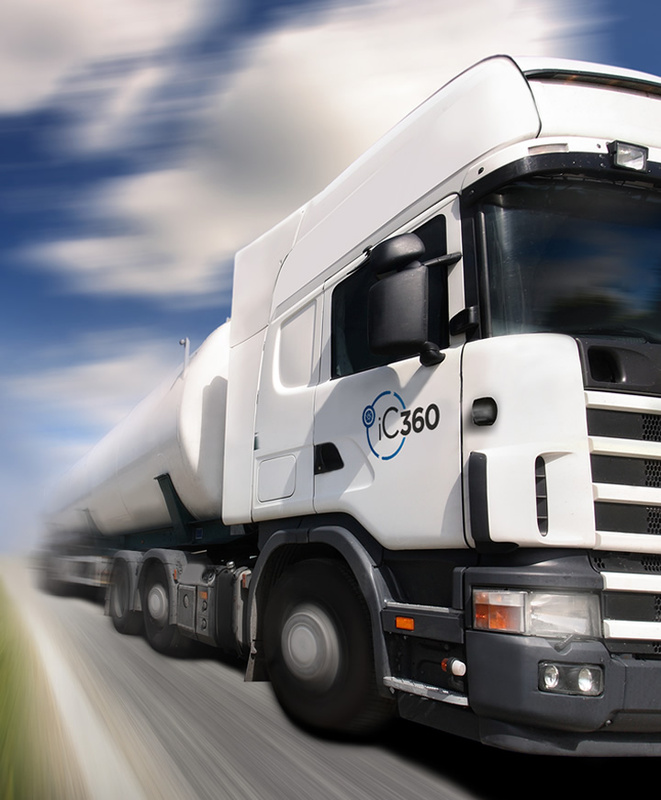 The ROI you gain from our solutions makes them an essential part of your fleet, whether you are trying to improve your drivers’ behaviour and in turn reduce fleet costs or help to reduce your insurance premiums our iC360 solutions will “Complete your Fleet”. Our iC360 Advanced Hybrid MDVR’s are now capable of providing even higher picture quality using IP technology. (previously only available in commercial security systems for your office or home) Being small and compact there is no difference between the size of our AHD and IP cameras. The iC360 range of IP cameras are the latest product to be released in the vehicle security market, providing the most advance imagery via a Full HD 720p/1080p 1.0mp CMOS sensor, giving the customer the clearest visibility on the road ahead. Our aim is to provide cost-effective HD product solutions available and the advancement in camera technology has enabled us to supply this HD technology at an affordable price. Typically, we will install these cameras as your forward-facing camera, providing you with the highest picture quality available in today’s Mobile CCTV marketplace, depending on your requirements and budget we can also supply this technology in and around your vehicle. All our IP cameras have a 2.1mm 120° angle lens for a wide angled view of their surrounding and can include IR for night vision, our range of robust external cameras all have an IP68 rating making them highly suited to commercial vehicles, whilst our internal range offer an excellent selection for many applications. This ensures that the road ahead is even more visible to the watching eye, ensuring that all the information is captured in clean and crisp images, which can help towards insurance mitigation or driver training programs. The IP front facing camera records journeys which can be used in evidence to avoid false allegations or claims (crash for cash). Analog High Definition is now the video standard in MDVR solutions, giving the customer high quality images (720p) through the same cabling with little distortion and interference, using analogue modulation technology to transfer progressive-scan HD Video signals to our iC360 MDVR’s. Our AHD colour cameras use the latest CMOS technology and are now an industry standard, superseding the old analogue cameras which are now being fazed out. AHD cameras are same size as traditional analogue cameras, but the difference in picture quality is highly noticeable whilst there is no additional cost, ensuring you get the best value for your money. All our AHD cameras have a 2.1mm 120° angle lens for a wide angled view of their surrounding and can include IR for night vision, our range of robust external cameras all have an IP68 rating making them highly suited to commercial vehicles, whilst our internal range offer an excellent selection for many applications. The iC360 range of side and rear cameras help to eliminate the vehicles blind spots and the internal load camera can help to ensure correct securing of goods and due diligence, whilst the external load camera can help validate deliveries. Along with AHD Cameras our range of iC360 monitors have also had an upgrade, providing crystal-clear images from the HD cameras to the AHD Monitors, this new advanced technology completes our iC360 offering, ensuring the driver has the clearest visual awareness of their surroundings with the most up to date technology available. 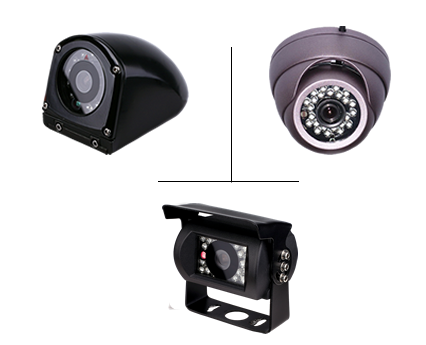 Our cameras can be configured so that the live view is displayed on the monitor. Aiding the driver when the vehicle indicates or reverse is selected and therefore improving the awareness of obstacles in the vehicles blind spots such as small cars, pedestrians, and cyclists. 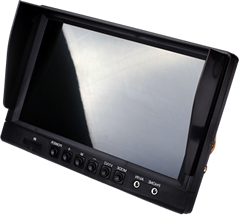 Whether you just need a reversing and side camera kit or a Full iC360 recording solution our monitors ensure the driver has the clearest visual information to hand.